Stand for this model - FOME 3450.. Extra felt for this model - ROME 3450..
3450 - 52x1.2mt - With cogged plate. 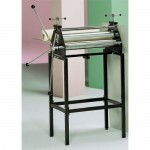 Ideal for larger, thicker Etching/Lino plates ..
3440 - 42x1mt - With cogged plate. 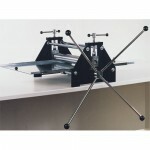 Ideal for larger, thicker Etching/Lino plates.. Extra felt for this model - FOME 3440..